You are currently browsing the tag archive for the ‘Oscar Wilde’ tag. The author is again visibly starting to amuse himself – nay, we’ll use the word – to mystify us. So I woke up this morning feeling tired, wondering what I would read next. Then Mr Postman arrived with a package from Canada. Wouldn’t you know it; it was a book from Stacey over at the excellent Word of Mouse blog. Hey, if anyone else out there wants to send me on a book, that would be just lovely. 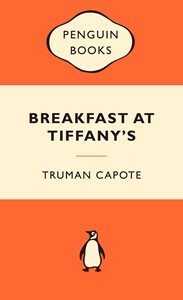 This book features a series of parodies of different authors by Proust, describing the circumstances of a scandal that involved the famously neurotic writer himself. Henri Lemoine was a scam-artist who claimed to be able synthesize diamonds from coal. Proust himself was conned, but famously the De Beers Diamond Mines were also taken in by the scam. For the purpose of his parody, Proust has the likes of Henri Balzac and Gustave Flaubert respond to the scandal, as well as a critical review by Sainte-Beuve of the latter’s effort published in The Constitutional. With each example chosen the parody extends beyond merely stylistic quirks of the respective authors, as the short chapters focus on different aspects of Lemoine’s deception. I have never read À la recherche du temps perdu, having previously only come close when studying Chien de Printemps by Patrick Modiano, as well as that silly book How Proust Can Change Your Life by Alain de Botton. As such my impression of him was that his writing was structured around endless digressions into memory and self-consciousness. The Lemoine Affair proves that I was missing the point entirely. The authors selected by Proust are not merely chosen to display his gift for parody, but to demonstrate his insight into their importance in French culture. What if this scandal had demanded that all the bright lights of the literary world weigh in on what had happened? What if Lemoine’s trickery had led to Proust’s own suicide? In imagining this scenario he removes himself from the ranks of literary contenders vying to write the definitive account of the affair. Yes, and by association, about Proust’s own shame in being taken in by the scam. In this as in everything else, the central point of concern is Marcel Proust himself. This is interesting as Sainte-Beuve for one is known for having argued with Wilde on the point about all authors revealing their inner selves through their fiction. Balzac in particular fairs poorly as a target of gentle ridicule. ‘His’, section of the novella concerns itself with aristocratic gossip and badinage, right up until the end, when it seems the author suddenly remembers to deliver a screed of exposition on Lemoine. Flaubert’s realism is also dismissed as mere stylistic prudery and Michelet delivers pedantry about the diamond industry itself. Again and again we see the degree to which Proust prided himself not only as a writer capable of translating his thoughts onto the page with exacting detail, but as a critic of literature itself. Failing to revenge himself upon Lemoine, he retreats to the world of writing, where he holds a stronger position. I enjoyed this book for its insight into Proust and the taste it gave for his masterpiece. While I do not intend to plough through that sequence of novels for this site, I am looking forward to reading them soon. Thanks again to Stacey for the lovely gift.